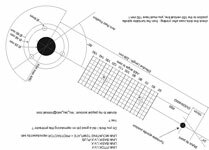 On this page you can download free cartridge alignment protractors for quick and accurate alignment of cartridge / stylus overhang, offset and null points. We have truly universal two-point tools such as the Stupid Protractor, and tonearm specific types for Audiocraft, Helius, Heybrook, Linn, Rega and Thorens, all with easy to follow instructions detailing how to align a cartridge. 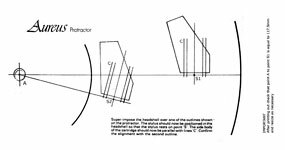 To determine which protractor is suitable for your tonearm please read Seb's Protractor User Guide and please check scale carefully after printing and resize if necessary. Mounting dimensions and alignment data for most turntables and tonearms - the original and best! A pair of universal two-point protractors, one using the more common Baerwald alignment method as used on 99% of commercial products and the other Loefgren B (see Seb's user guide above for an explanation of the difference). Simple, accurate and widely compatible. If you aren't sure which type to use and want a free alternative to the common shop bought designs, download this one. Another universal protractor, this time using the Stevenson alignment method with null points at 60.325 mm and 117.42 mm. This is especially useful for arms which have limited room in the headshell slots and can't be aligned satisfactorily with a Baerwald type. Designed to allow users to align their cartridge at any two null points between 60 and 150mm. A quick and easy way for experimenters to judge the sonic merits of different alignment methods. For example, this could be used in conjunction with the tonearm database to compare the tonearm manufacturers alignment with the popular Baerwald type found in most aftermarket protractors. A mirror protractor, a variation on the classic two-point protractor - suitable for experienced users only! These protractors are tonearm specific or use alternative alignment methodology. This tool is suitable for accurate mounting and alignment of all Linn mounting pattern tonearms. Arc protractors allow super fast, accurate cartridge alignment. Please Note The alignment curve on an arc protractor is only suitable for the stated mounting distance. DO NOT use an arc protractor unless it matches your mounting distance exactly. Suitable for Linn tonearms mounted at 211mm mounting distance. Print on A3 sized paper. Includes integral strobe disc in 3 versions, 50Hz, 60Hz and 300Hz. Suitable for Rega tonearms only, mounted at exactly 222mm (standard) mounting distance. This single point design is especially quick and easy to use and includes an arc for rapid double checking. Suitable for Rega tonearms mounted at exactly 222mm (standard) mounting distance. Identical to the Baerwald protractor above but designed using Stevenson null points which gives alignment closer to Regas and is useful when the headshell slots don't give enough room to align your chosen cartridge using the Baerwald design. Suitable for those Technics turntables that have an arm mounting distance of exactly 215mm, such as the SL-1200/1210/1300/1400/1500/1600 etc. Please check the tonearm database for the mounting distance of your arm before using this protractor. Also note that Technics arms do not use baerwald alignment as standard, so you may have to offset the cartridge in the headshell in order to align with arc. Suitable for those Thorens tonearms that have a mounting distance of exactly 215.6mm. See enclosed instructions for compatible tonearms. 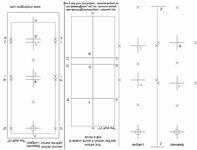 All Cartridge / Tonearm alignment protractors on this page are freely downloadable for non-commercial use. Posted Sat, 06/04/2011 - 05:17 by kwok787. I use the Rega-baerwald alignment protractor (scale is OK) to check my Rega P3 (RB-300) cartidge. After placing the stylus at the middle checking point, I move the stylus and it cannot follow the arc C C'. How to set the adjustment in P3? Anyone has the experience in it? Please share. Posted Fri, 06/17/2011 - 09:57 by nibiru-x. I don't know if this applies to your P3 specifically, but in my experience the Baerwald protractors, ie MoFi's Geo-Disc has implied a reseating of the whole tonearm on about three Regas so far. However, I would email Rega themselves to answer your query. Posted Thu, 05/19/2011 - 13:27 by Niekos. I'm new to aligning cartridges etc. I have a Dual 510 TT and I want to install, and of course align, a Grado Black cartridge. Which protractor should/can I use? 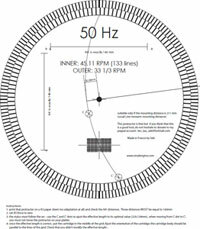 Effective length of tone arm is 222 mm, can I use the Rega Baerwald arc protractor ( is this a universal protractor or just for Rega tone arms...)? Posted Tue, 05/10/2011 - 15:15 by Uncle Hippie. I am a real ignoramis. 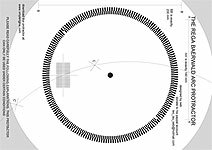 I am wondering, for the Thorens Arc Protractor, do you place the cartridge so that its body is perfectly aligned in the grid? Then do you place the stylus onto the X nearest the spindle hole, then back onto the grid, then place the stylus onto the X located toward the outer edge of the platter? Also, should the protractor remain in the same place (still) on the platter during this whole procedure? Posted Wed, 07/20/2011 - 17:13 by john1964t. 1 - Start with making sure your cart is roughly aligned square on the grid. 2 - Then move the tone arm towards the center at point C. Make sure your needle is in line on the C cross turning the platter until spot on. 3 - Next keeping the platter and protractor still, move the tone arm out and check the alignment at point C'. 4 - If the needle is not dead on the C' cross, you will need to move your cartidge either forward or backward on the tone are head shell. (if the needle was behind the cross - you will need you will need to move it backwards, if it was in front of the cross you will need to move it forward). Only very small movements of the cartridge will make much bigger differences in the possition of the C' cross. 5 - Keep making small adjustments until it is dead on both crosses. 6 - Now go back and check that the cart is dead square on the grid. if not twist in until it is. 7 - Then check the alignment again at both points C and C'. 8 - If its out at either point go back to 2 and start again making very small changes. 9 - Once you have both points dead on and the cart square in the grid your done and you can put your fav song on and enjoy. I've just done mine after changing the cartridge and it makes a difference. Just chillin listening to a bit of Marvin....... Right On. Posted Thu, 05/12/2011 - 01:49 by the_equalizer. No need to hop around the grids and the X marks. The cartridge just needs to align perfectly at the two grids. Yes, the protractor should remian still during any one test iteration. That is: after you placed the stylus in one of the grids to check its alignment, then the platter/protractor shouldn't move as you rise the stylus and move the arm to lower it at the other grid. Naturally, after you move the cartridge in the headshell to improve it's aligment, you may have to move the platter/protractor so that the stylus tip lands exactly at the required point. Posted Fri, 05/13/2011 - 18:00 by Uncle Hippie. Thanks for your help! The Thorens protractor only has one grid, though. Does it need to align perfectly in this grid and then line-up so that the stylus tip land exactly at the two points? Posted Fri, 05/13/2011 - 22:17 by JaS. Read the instructions for the Technics Arc protractor (above) for the correct procedure. Basically the arc is used to set overhang and the grid to set offset angle. Posted Sun, 05/08/2011 - 05:59 by the_equalizer. I just wanted to thank you for making this protractors available. I had been suffering with cartridge alignment in my recently purchased Technics SL-1200MK2 (and on a previous Pro-ject Debut III) as I found alignment with the provided overhang tool seriously lacking. Then I found your arc protractor. I had some problems with printers that did not output the protractor with perfect dimensions and was about to give up and buy a comercialy available one when I tried my wife's home office printer (HP LaserJet 1320) and that printed the file *per*fect*ly* (not a fraction of a milimeter off). Finally, using the arc protractor I was able to align both my AT cartridges (AT95e and AT440Mla) in no time ! And I spent today's evening listening to some of my vinyl favorites. What a difference! You gave me my faith in vinyl back! Posted Wed, 05/04/2011 - 21:39 by music1984. I measured the AA and BB points and the AA point is less than 14 by just a touch and the BB point is off by almost .75 of a mm. I had a few friends confirm this with scaling off so I am not sure if anyone ever raised an issue with the pdf but that seems to be where the problem is. Although everyone seems to think it works fine so if someone can tell me I am wrong that would be awesome. Posted Sun, 05/08/2011 - 05:45 by the_equalizer. 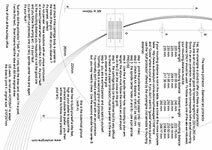 Indeed I can confirm that the protractor files are perfect in their dimensions and that it's your printer that is throwing off the dimensions. I had to try 4 different printers until I got one (HP LaserJet 1320) that printed the file with perfect dimensions. Others have mentioned that messing with the scale % in the printer properties can help print a perfectly sized protractor using a printer that does not get it right naturally. Posted Wed, 05/04/2011 - 21:57 by JaS. 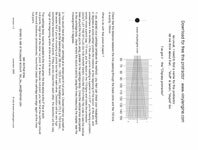 I double checked the drawing using the PDF dimension tool and the AA and BB lines are perfectly to scale. Any changes in scale after printing are down to the printer/printer driver. Posted Sun, 09/12/2010 - 22:16 by Spunky. At the risk of seeming a bit thick, I have to ask: How exactly do you get the Arc Protactor to work with a SL-1210? I can't get the (stock) arm to extend far enough in towards the spindle to touch point C on the protractor. Even if it were to be able to touch point C and C' equally, I'm not sure I would be able to adjust my Denon DL-160 cartridge in the standard headshell to track the arc properly between the two points. Am I missing something? Posted Thu, 03/03/2011 - 14:01 by Seb. to draw the technics arc protractor, as for every arc protractor, you start with the mounting distance. I found that mounting distance on the technics manual. Posted Mon, 01/24/2011 - 07:23 by thefringe01. I just downloaded the K Willis Universal Accutrak protractor. It contains three alignments, Baerwald, Loefgren, and Stevenson. I found that the Baerwald alig!nment is incompatible with my Technics SL D205 turntable. I assume this table has the same 215mm length arm as other SL series Technics tables. The Stevensen protractor would probably be your best choice IMO. Just align to the innermost null, and you have it! The outer null will be a bit off, but there IS a null there, just that it will be a slightly different location than shown on the protractor. (not critical) One good thing about the 215 mm Technics (S shaped) arm, I've discovered that the tracking error is very small as the arm arcs inward from about the mid point of a 12 inch record, and that's where tracking errors are most audible. The trade off is a bit more error at the outer grooves, (I do not know exactly how much more) however this rarely poses any problem... tracking errors are least audible at the outer groove area. 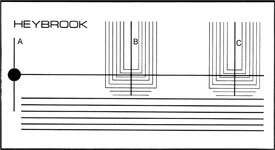 Using the Stevensen alignment for your Technics table, the inner groove alignment is where it needs to be, the rest should be ok.
Posted Mon, 01/24/2011 - 12:54 by scho2684. How do you think that the location of where the arm bend inwards, (quote: I've discovered that the tracking error is very small as the arm arcs inward from about the mid point of a 12 inch record, and that's where tracking errors are most audible) has anything to do with the tracking error? It's really the offset angle that you are referring to, which in the SL1200MKxx series is 22 degrees. The shape of the arm has nothing to do with the tracking error, that arm can be a rollercoaster model for that matter; the path that the needle is following (a theoretical 230mm which is effective length) is still the same. Posted Mon, 09/13/2010 - 07:08 by JaS. You should first push the cartridge forward in the headshell to follow the arc - this sets the overhang. If you run out of room in the slots it may not be possible to use Baerwald alignment with that cartridge. The cartridge should end up 2.8mm further forward than when using Technics original alignment, but the distance between the stylus tip and the cartridge mounting bolts varies from model to model so it may not be possible with the DL-160? Posted Sat, 06/05/2010 - 16:08 by backinblack. Just a "heads up" if you're having trouble printing the protractors and keeping the scale accurate. I found that with the Stupid Protractors I had to print in landscape mode with page scaling set to none. Thanks for the protractors! Posted Tue, 04/13/2010 - 16:41 by ddanbo. I am struggling a little bit and think I may need a bit of advise. With a table designed mounting distance of 205.5mm (overhang of 9.5mm and effective length of 215mm), I don't seem to be able to move the cartridge enough in the headshell to fall inline with any of the protractors (Stevenson, Baerwald or Loefgren). Calculator reccommended overhangs are not achievable (example - 224.1mm for Baerwald). I may be able to move the cart out to an max effective length of 219mm. What would be the best set up/protractor in this circumstance? I'm using a universal headshell which is similar dimensionally to the original Kenwood, and all original manual specified Kenwood dimensions can be met. So I am confused as to what the original intent for alignment was when the table was designed?? Posted Thu, 05/13/2010 - 12:14 by TIU. Hi, as you have a much shorter than usual or common arm length, in the absence of a protractor specifically drawn up for that arm, I would simply set the overhang to 9.5 mm, square up the cart in the headshell and be happy with that. Providing Kenwood's figures are accurate, your cart will be aligned accurately. It is also possible to check alignment and tweak further by listening to a test record although that usually applies to fine tuning the VTF and anti-skate more than the actual alignment of the cartridge. Posted Tue, 04/13/2010 - 17:09 by JaS. To be honest I'd be tempted to use an overhang gauge and stick with the standard overhang. Without knowing the original offset angle it's hard to know what sort of alignment they were aiming for, or what is possible within the current headshell? Posted Tue, 04/13/2010 - 17:38 by ddanbo. I could most likley acheive an additional 4 to 5mm of overhang (for a max of approx 219 to 220mm eff. length). I cannot comment on angle as I have not seen this number published (is there an alternate way to determine this angle?). I do have the original plastic overhang guage that came with the table, but this appears to place the stylus at the 215mm eff. length noted previously. If the plastic overhang guage is used, I assume you would just square the cart in the headshell and call it good? Posted Tue, 04/13/2010 - 19:00 by JaS. Yes, if you keep the cartridge square and use the gauge then that will give you the original alignment, which should give reasonable results? If you want to experiment further you could attempt to measure the offset angle (the angle between the cantilever and a line drawn between the stylus tip and the horizontal pivot point of the arm), or maybe experiment with inputting different angles into the Alignment Comparator until you get a decent distortion curve, then use Conrad Hoffman's arc protractor generator to print out an alignment template to see if you can align to it? It's a bit involved though, so probably a project for a rainy day (it was pouring it down the week I wrote the alignment calculator/comparator!). Posted Wed, 04/14/2010 - 18:50 by ddanbo. I believe that playing with those tools plus the excel spreadsheet is what brought me around to asking these questions! Plotting a Stevenson arc protractor using DIN std for the inner groove radius gives me an overhang of 15.57 mm and an offset angle of 23.037 deg. I might just be able to get to this one. If not, I will pursue the overhang guage suggestion. Great tools and articles - helped me a lot! Posted Fri, 03/26/2010 - 19:56 by williwoods. I thought the whole point was to keep the protractor stationary and then align to both positions, which is not possible with the stupid protractor. I am going to try and use the "KWillis Universal Accutrak Protractor Version 2" which does have arc offset positions. dunno it just may be me. Posted Sat, 03/27/2010 - 07:48 by JaS. There seems to be some confusion about how to use these protractors? Neither type is kept stationary between points - for this you would need a specific arc protractor designed for your mounting distance. (1) lower the stylus onto the inner null point (rotating the protractor as required), then adjust the for/aft position of the cartridge in the headshell until the cantilever/cartridge body is parallel with the grid lines when the stylus is placed back on the point. (2) lower the stylus onto the outer null point (rotating the protractor as required). If the cantilever/cartridge body is not parallel to the grid lines at this point you should twist the cartridge in the headshell to adjust the offset angle (without changing the overhang set in the first step). The advantage of a sight-line type (such as the KWillis protractor) is that you set the overhang and offset angle at the first point, then you just have to rotate the protractor* to check the second point, so it should be quicker. However, it's not always easy to point the sight-line accurately at the pivot point so if there is misalignment at the second point you should then use it as you would a two-point protractor to correct it. For each alignment method (Stevenson, Baerwald and Lofgren B) the two-point protractors above will give identical alignment to the KWillis protractor when used correctly. * note that the angle between the grid line radii on the KWillis protractor reduces the amount you need to rotate the protractor when checking the second point, but the correct angle between these points is different for every mounting distance so you shouldn't attempt to force alignment at both points while the protractor is held stationary. Posted Thu, 03/18/2010 - 04:02 by audiopile. Saw a pic of Clearaudio's alignment jig - looks a lot like my denison Soundtractor = a tool that has served me well for 30 years or so -anybody know anything about this unit ? What alignment system it adheres to ? Is it universal or only for Clearaudio arms ? Posted Mon, 05/17/2010 - 16:51 by Seb. Posted Mon, 02/22/2010 - 07:13 by Dobs. Posted Fri, 11/05/2010 - 02:40 by Atom Shop. How about a Rega RB250 protractor where the pivot to spindle distance is 233mm? "Music takes you places you can't go any other time." Posted Fri, 11/05/2010 - 08:40 by JaS. You won't be able to align a cartridge if you mount the arm at 233mm. It would require an effective length of 249.5mm for Baerwald and the arm isn't long enough to achieve this. Indeed, it's only just long enough to achieve a 239.3mm effective length when mounted at 222mm. The correct mounting distance for all Rega arms whether original or OEM is 222mm. Posted Tue, 02/09/2010 - 19:45 by druizperotto. Can you please suggest me the best protractor for mi Pro-Ject Perspective Anniversary turntable with 9cc tonearm? Posted Tue, 02/09/2010 - 20:19 by JaS. Used correctly the Stupid protractor works well - the Baerwald null points will provide the lowest peak error, while the Lofgren B will give the lowest average RMS error (with a slight increase at the inner and outer grooves). Alternatively you could use Conrad Hoffman's Arc protractor generator (see the thread in the cartridge forum) to print out an arc protractor specifically for your arm length - these are quicker to use than a traditional two-point type, but if you go this route be sure to read the instructions carefully. Posted Wed, 02/10/2010 - 08:20 by druizperotto. thank you very much for your prompt and clear response. I already used the Baerwald protractor and it seems to work well, I'll try tu study now your suggestions just to find out what else can I do to improve the setting up. Thanks again. Posted Mon, 02/01/2010 - 10:30 by benzene. Just got an used unit of Technics SL1210 MK-2 & installed a Nagaoka MP-11 cartridge. This is the first time i tried to setup TT. Would be glad if anyone could share with me what's the best protractor to be used to align my Nagaoka MP-11 cartridge on this TT? I tried both printable Baerwald & Loefgren but doesn't sound right? The Techinics Baerwald Arc Protractor here was meant for 215mm mounting distance & if not wrong SL1210 MK-2 is 230mm. Or did i miss out anything important? Got to know the overhang is 52mm, is it right? And what's the best tracking force for this combination? Posted Mon, 02/08/2010 - 10:08 by hartgas. what protractor to use with my combo, thorens 124 with a fidelity research 64fx arm. the distance from spindle to pivot is 230mm. this thorens doesn't fit the thorens profile protractor. and what would the overhang come down to? Posted Mon, 02/08/2010 - 13:43 by JaS. You can use any universal 2-point protractor, but as standard your arm uses a geometry closest to Stevenson so this would leave your cartridge more central in the slots than other versions, offering better compatibility with cartridges that have an unusually long mounting hole to stylus tip measurement. Posted Mon, 02/01/2010 - 11:51 by JaS. 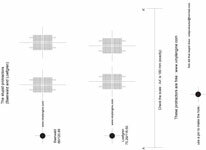 Baerwald & Loefgren B produce very low levels of tracing error within the playing area. They don't have a 'sound' as such so if it sounds bad either something else is amiss or you need to double check how you're using the protractor? The SL1210 mk2 has a mounting distance (pivot to spindle) of 215mm and an effective length of 230mm (stylus to pivot when using the standard alignment tool). 52mm is the standard distance from the back of the headshell mounting surface to the stylus tip, not the overhang. Overhang is the amount the stylus tip overhangs the centre of the spindle once aligned - standard this is 15mm, but using a Baerwald protractor you will end up with 17.8mm of overhang and the cartridge 3mm further forward in the headshell (but lower tracing error). FWIW you don't need to measure the overhang or offset angle, just align to the protractor as described in the instructions and it will be set. Posted Tue, 03/02/2010 - 16:18 by benzene. Posted Tue, 01/19/2010 - 23:12 by boguitas. I´m looking for the best protractor to my thorens 521 with sme 3012. I think that the distance is 294mm. I don´t know very well how I should use the protractor. Posted Wed, 01/20/2010 - 19:36 by vintage-components. Posted Wed, 12/30/2009 - 21:32 by Fatmangolf. Thank you very much for your clear explanation and this valuable set of tools. I used the Rega Baerwald protractor produced by Seb and it sounds better than the Rega three screws setup. Posted Sun, 12/27/2009 - 14:50 by selfaddict. Hello and thanks you for these protractors. Would it be best to use Stupid Protractors for my 12" Jelco. I managed to adjust the overhang to 15mm and used HiFI News Analogue Test LP's own protractor to allign the cartride, but like to check the allignment in two nul poins if this is possible. Posted Sun, 12/27/2009 - 17:01 by JaS. The 15mm overhang figure is only applicable to the original alignment method. If you want to keep the original overhang distance/offset angle you could try making your own two point protractor? According to Jelco's specs the original null points work out at 68.7 / 129.9mm so marking these on a piece of card would give you the radii at which the stylus should be perpendicular to the groove (if Jelco's figures are accurate). Alternatively you would get slightly lower maximum and average tracing distortion by using the Baerwald Stupid Protractor, but you will end up with 13.4mm overhang and an 18 degree offset angle when aligned accurately to it. There should be room in the headshell but the cartridge will end up slightly skewed in the shell if that bothers you. Posted Sun, 12/27/2009 - 18:44 by selfaddict. Sorry about this stupid question. Where do I need to measure the nul points from, if I want to make my own protractor? Is it from the spindle or somewhere else? So if I make a allignment protractor, I need to measure the nulpoints and then draw line between these points, after this I need to draw lines perpendicular from this line outwards? Did I get it right? Posted Sun, 12/27/2009 - 19:21 by JaS. 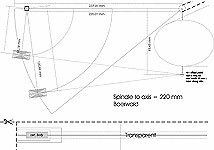 To make a custom protractor, you firstly need to draw a straight line on a piece of card/paper and near one end mark a line for the spindle centre line (where you are going to punch/score the spindle hole). Then measure from this centre line the two null point distances and draw two lines at 90 degrees - these will be the two points at which you will place the stylus to check tangency. If you have Illustrator or a CAD program it's easier as you can more accurately draw the lines and maybe add a grid. Alternatively you could download the Chpratz Protractor above but it is only accurate to 1mm so you would be looking for alignment at the 69 and 130mm lines. Posted Sun, 12/27/2009 - 20:11 by selfaddict. Hello JaS and thank you for the information again. Obviously using 15mm overhang and Linear Offset technique with only one 66mm nul point gave me a right cartridge allignment. Many thanks for your answers and have a good new year 2010. Would you be so kind as to recommend a protractor template? Posted Sat, 12/19/2009 - 16:49 by alexandermatheson. I appeal to the greater knowledge of those on the site! Which of these would you recommend for a Music Hall MMF-5.1? It is based off the Pro-Ject 9 series, so I'd hazard a guess that the Rega template would be most similar. Suggestions would be most appreciated! Posted Sun, 12/20/2009 - 09:37 by JaS. The Rega protractors are only suitable for arms with a 222mm mounting/pivot to spindle distance. Any of the universal protractors (Baerwald, Stevenson, Loefgren B) are suitable. Which one must I use ? Posted Thu, 12/17/2009 - 20:22 by soundy. Hi, do you know which one I need for a BST Pro PR 4.5K turntable ?